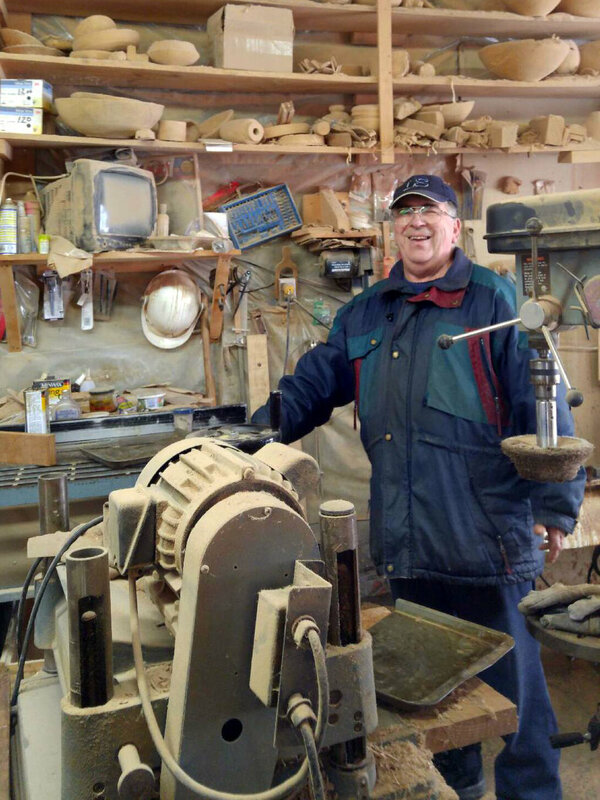 Leonard's children (who happen to be electrical engineers) helped him set up his workshop in the village of Belledune, New Brunswick on land that his father once farmed and where Leonard now lives. In this space filled with wooden projects and machinery painted in greens and greys, francophone country radio plays as he turns spoons on the lathe. Before Leonard found his love of woodcraft 19 years ago, he made a living driving a truck and cooking maple syrup. It was after a chance meeting with a renowned woodturner and a one-day course that introduced him to the craft, he was hooked. Working in curly maple or birdseye maple that he harvests from his family's land, he turns bowls and spoons that are smooth to the touch and light in the hand. Through a special treatment process, Leonard heats his work up to 210°C making it resistant to moisture and causing the sap in the wood to cook, giving the utensils the lingering aroma of maple syrup! Follow the links below to explore the collection.